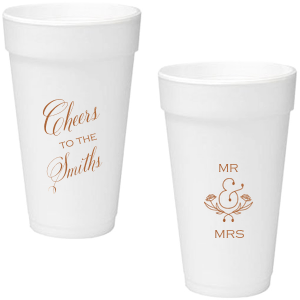 Don't serve drinks in boring barware. Create custom styrofoam 20 ounce cups and show off your best hosting skills! 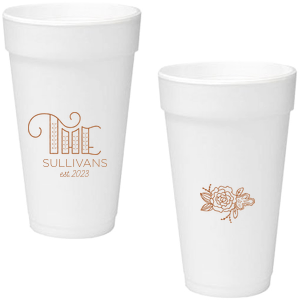 Guests will love these festive custom printed disposable cups from For Your Party. 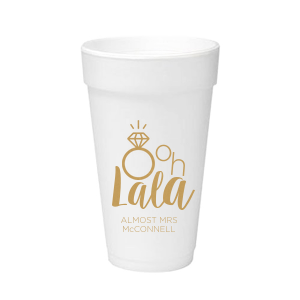 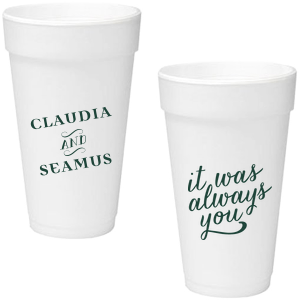 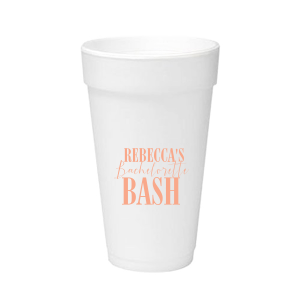 Custom party supplies are all the rage, and you can be on trend with personalized 20 ounce styrofoam cups that coordinate with your party theme. 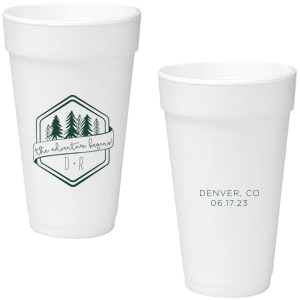 Styrofoam cups can be used to serve hot or cold drinks. Affordable and disposable cups, these unique party supplies are exactly what you want on your drink station. Custom 20 ounce styrofoam cups can be used at an informal wedding reception or as party cups at your summer graduation party. 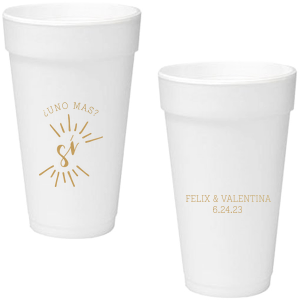 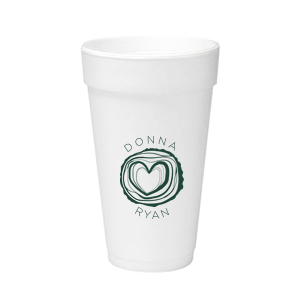 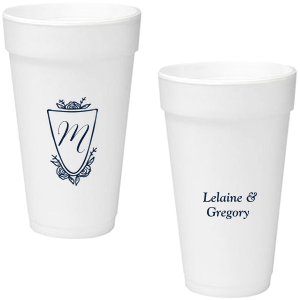 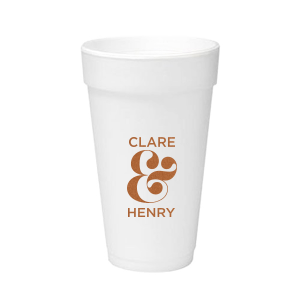 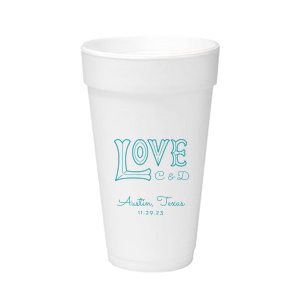 Add the guest of honor's name or monogram to your custom cups for a personalized touch. 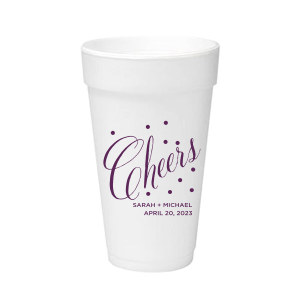 Choose from our vast library of clipart to create a design perfect for your event. 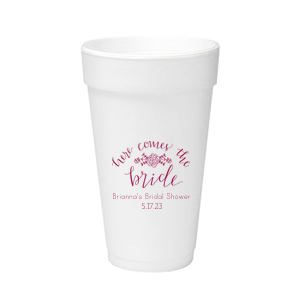 We have unicorn clipart that is perfect for birthday party cups, lots of bridal clipart for wedding cups, engagement party cups, and bachelor or bachelorette cups. 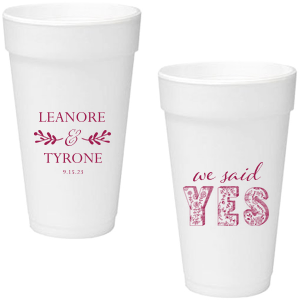 Are you a big sports fan? 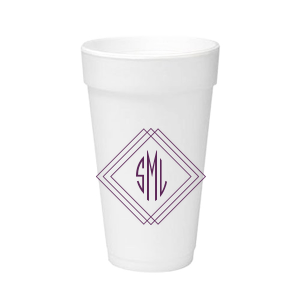 Keep custom styrofoam cups on hand for a tailgate party that will blow away the competition. 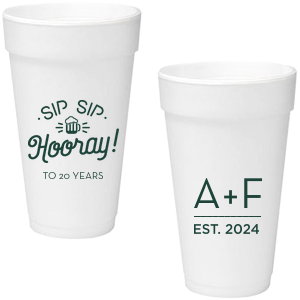 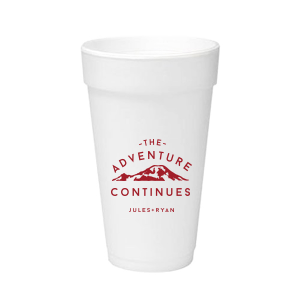 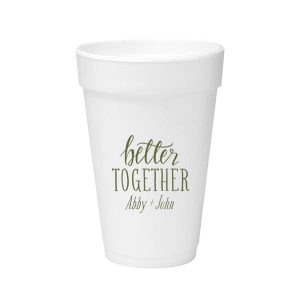 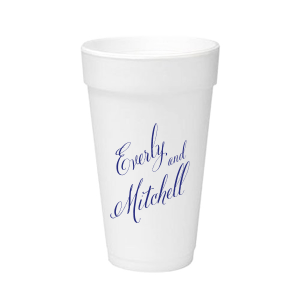 Whatever the celebration, personalized 20 oz styrofoam party cups are sure to be a crowd pleaser.